I’ll be honest that was a better game than I was expecting. It could have been a low scoring stinkfest with 2 teams who really didn’t care. 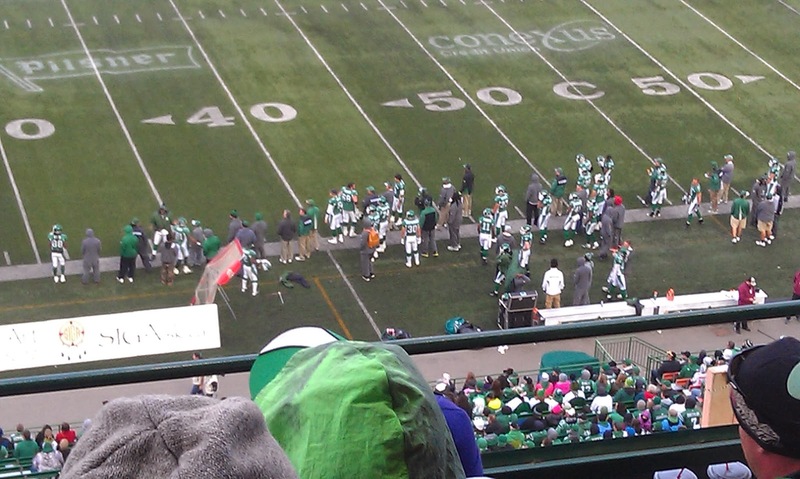 Hell we cared so little that we didn’t even remember to introduce the Eskimos at the start of the game. At least we were treated to a competitive game. Even more important is that unlike the Stamps, we emerged without any major injuries. Only guy I even noticed get hurt was Kuale and we had no plans to play him I the playoffs anyway. Not much point of analysing this game for obvious reasons but there were a few things I will highlight. The improvement in the line play with Best back in was noticeable (even with newcomer Lee in for Fulton). Runs up the middle were a lot better and overall stability of the line was much better. Granted the Esks have awful run D but still. It was great overall to see the run game effective. Didn’t matter if it was Garrett or Sanders. By the way, where the hell was all that Garrett goodness when it actually mattered?!? You just know that Sheets was killing himself on the sidelines going “if Garrett can get 152, I could have easily taken the rush lead”. I hope the offensive coaches take a look at how effective mixing up the run game and involving the RBs in the passing game was. Only real downside for me was how god awful our kick coverages were. At the start of the year they were downright dominant. Saturday, they were a liability. A lot of big returns including that game losing one for a TD. We are facing a way better returner in Logan next week so we better get that fixed and fast. Outside of that I have nothing more to add than my random thoughts (only some of which are related to football). I’ll be back later in the week jacked up for playoff football. - Mike McCullough has been playing really great football this year. I assumed this would be his last season but if he can still play like this then why not keep going? - Decent showing by both QBs, minus Sunseri’s refusal to just throw the ball on the last play of the game. - Speaking of Sunseri, his failed attempt at clocking the ball is one of the greatest things I’ve seen in a long time. Everyone was so confused. - Nice to see Taj Smith get his 1000 yards. - Did anyone else catch the announcer call Smith, Thomas Smith? It’s as if he’s taking on an alias, as if he has impending legal issues. - Speaking of names, when did Ejiro become EJ? - I love that they put up the fireplace on the big screen… and then promptly reminded people not to call the police as it was fake. my theory on the special teams issues is guys not normally in due to resting so many guys and guys who normally don't play on defense or offense being a step or two slower due to playing time there as well. Yeah makes sense and I hope you are right. I forgot about Ferri and Newman.